A tough coffee table using street work artefacts. Both for interior and garden use. It is a road sign aluminium table top on four upside down traffic cones. 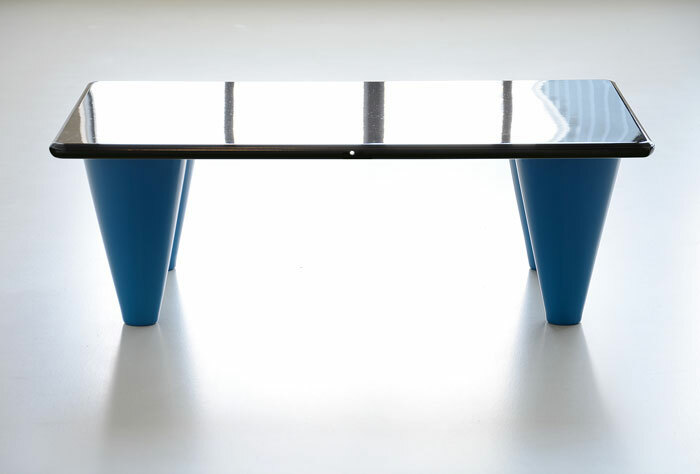 The standard road table top has coffee table dimension, measuring 60 by 90 centimeters. 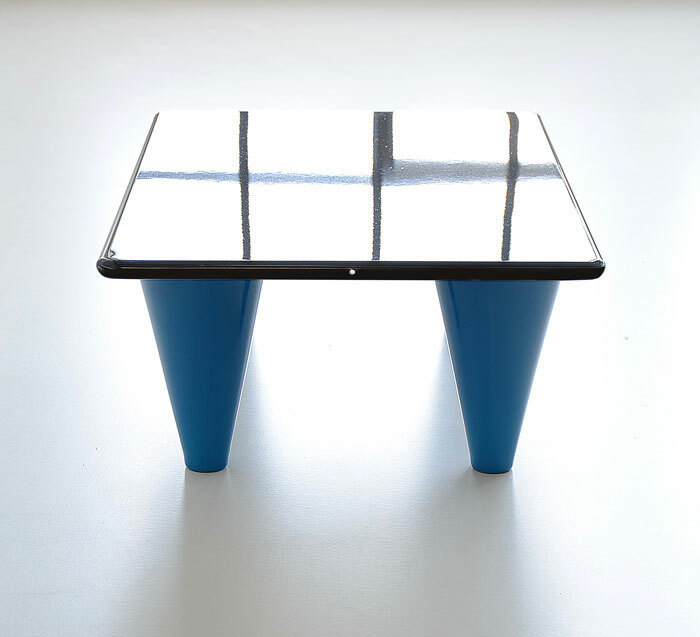 The table top is made of 2mm thick aluminum sheet material with a durable white or black powdercoating finish. 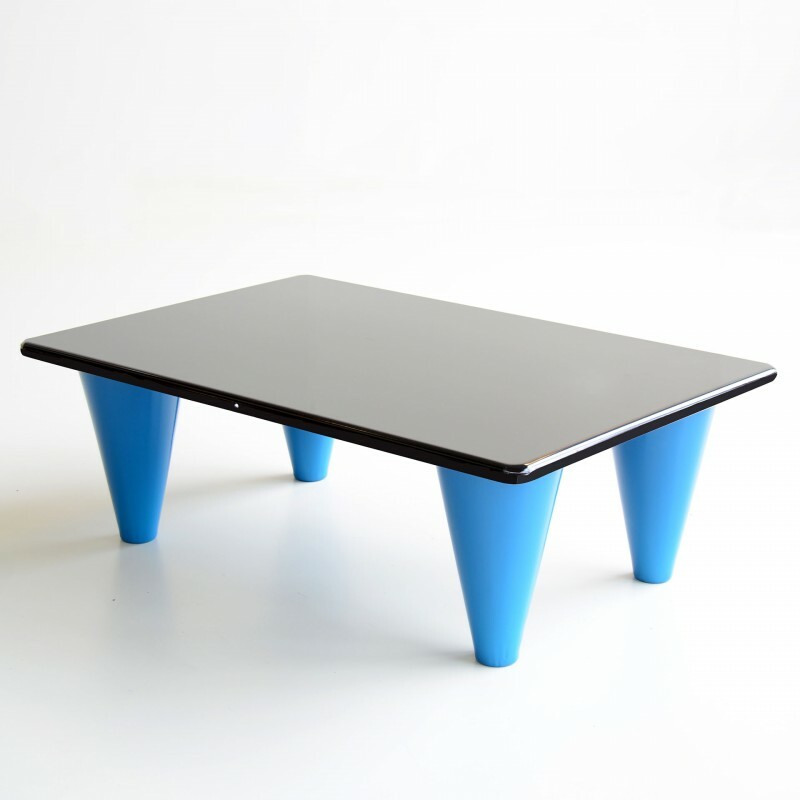 It stands on four dark turquoise conic legs. Sturdy and durable, but friendly, and in its own way elegant.